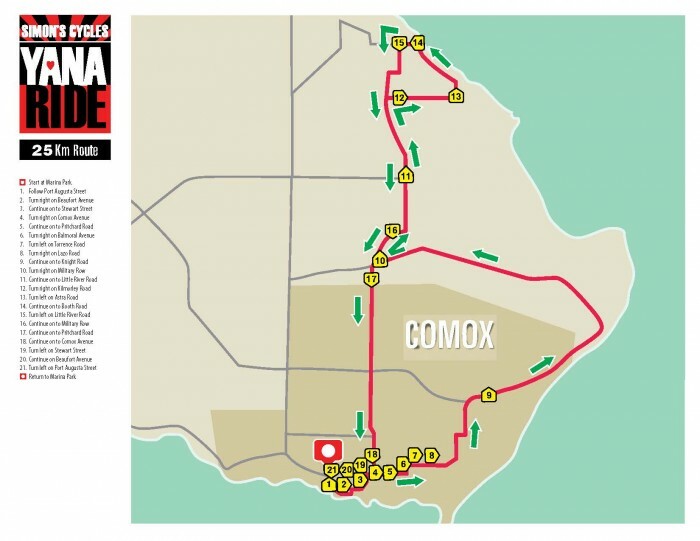 The Simon’s Cycles YANA Ride is a fun, challenging and unique bicycle ride through the beautiful Comox Valley. Whatever your ability we have a ride you’ll enjoy, routes include a 25km, 50km or 100km ride. 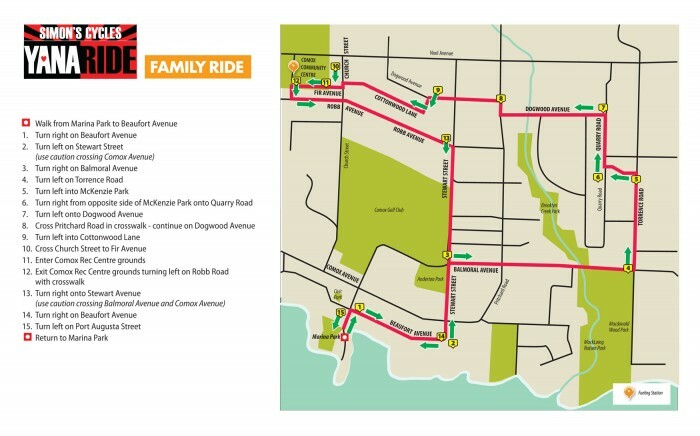 There will also be a 6km family loop that allows riders of all ages to cycle together regardless of ability. For little ones not yet using pedals we will be hosting a special run bike race. You Are Not Alone (YANA) was founded in 1986 and the mandate is simple; when a child 0-19 or an expecting mother living within School District 71 needs to leave the Comox Valley to receive medical treatment, YANA is available to help. YANA offers assistance with accommodations and provides funding to help cover expenses while families are away from home. When Sandra Williams’ four-year-old daughter, Roberta, was diagnosed with congenital heart failure the family's life was turned upside down. Sandra stayed in Vancouver for months at a time while her husband stayed behind working, managing the house and three siblings and also travelling back and forth to Vancouver whenever possible. The costs were astronomical and debilitating, placing enormous pressure on the whole family. After meeting many people in the same position from across the province, Sandra and the Williams family realized that something had to be done to alleviate the financial burden for families dealing with a childhood medical crisis. 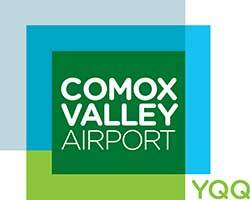 They committed to finding a solution for the Comox Valley. It was crucial for the child to be cared for and heal with their family at their side. Since YANA's humble inception in the William's home in 1986, YANA has assisted over 1000 families. 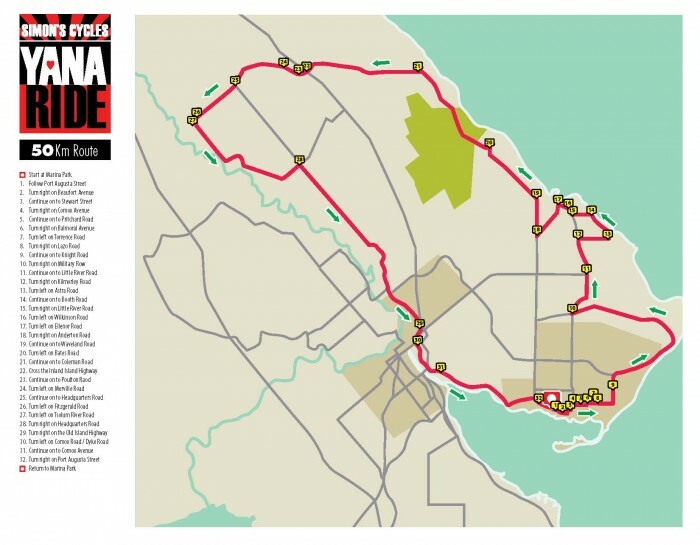 Check out the 2015 routes viewable as images or via MapMyRide as links below. All routes subject to change. Registrants have the opportunity to order a bike jersey while quantities last through Simon's Cycles. This Sugoi Evolution Semi-fit jersey is perfect for your Sunday ride. 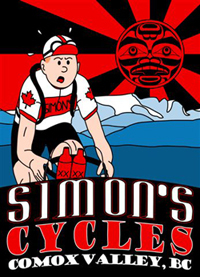 Simply drop by Simon's Cycles on Comox Avenue where you will have the opportunity to try one on and place your order. Please bring cash or cheque made payable to YANA to pay for your jersey. Jerseys cost $75 with all profit going to YANA. You can also purchase jerseys at the event using the same methods of payment. Now you can rock the Simon's Cycles YANA Ride with every pedal stroke! Keep your feet feeling warm and cozy and looking fine with these awesome ride socks. 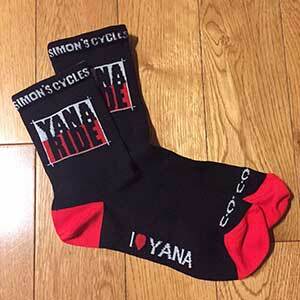 Simon's Cycles YANA Ride socks come in two sizes and are available for $10 from the merchandise tent on ride day. 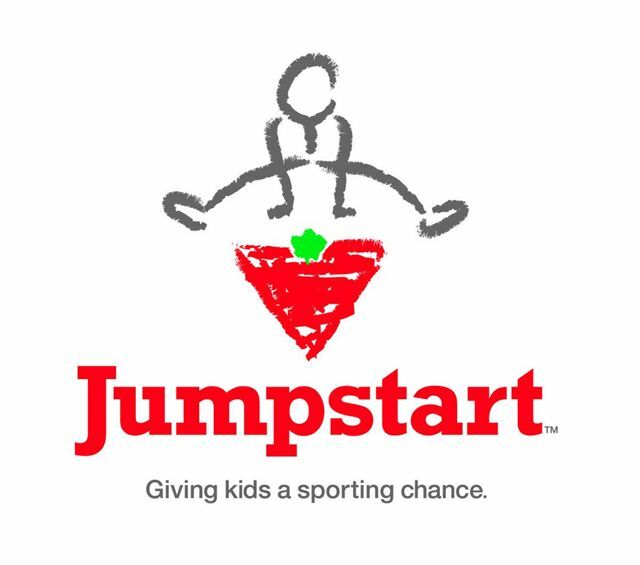 Ride kits may be collected on Sunday, August 16 from 8:00 am until 11:30 am at the registration area. We suggest you collect yours during your check-in period, see Event Schedule above for timing. Simon’s Cycles YANA Ride has fueling stations throughout the various routes. Expect to find fruit, water and energy bars as well as basic first aid. Bathrooms are available at all fueling stations. On your return to Marina Park you will find food and entertainment. 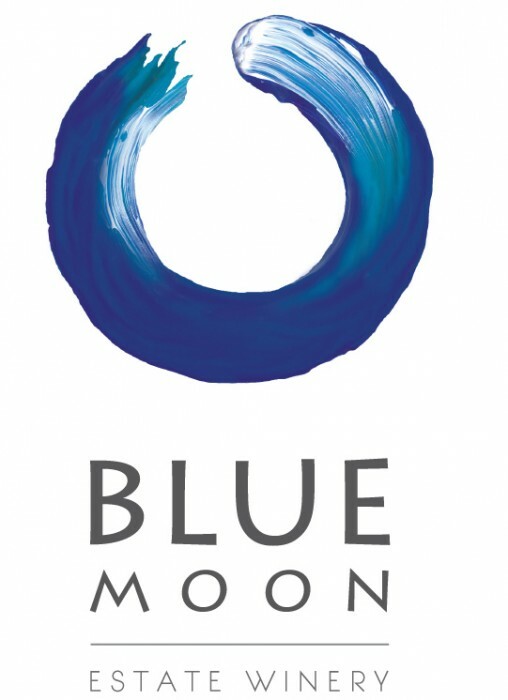 Salish Seafoods and Tria Culinary will host a BBQ for all cyclists and volunteers. All cyclists will receive a congratulatory medal at Marina Park. Run bike participants will receive a special prize. All participants will be entered in a draw to win prizes donated by Simon's Cycles and their suppliers. 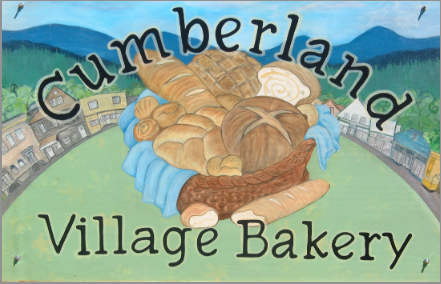 There are dozens of prizes including a grand prize draw to win a $500 Simon's Cycles gift certificate. As with all great events, The Simon's Cycles YANA Ride is made spectacular by the participants and volunteers. We're delighted to announce that our volunteer needs have been filled thanks to a great community response. We will continue to keep a list of interested volunteers for future. Please email ride@yanacomoxvalley.com if you have questions about volunteering or if you would like to be involved as a volunteer for future events. All partcipants who are registered on or before July 23rd will be given a free souvenir t-shirt thanks to Simon's Cycles YANA Ride sponsor, Dr. Conradi. Check out the groovy design! Not available for purchase at event. All participants are eligible to a one time only discount at Simon's Cycles. The earlier you register the bigger the discount. Please provide your proof of registration to Simon's Cyles in order to receive your discount. Discounts will be honoured until August 15, 2015. 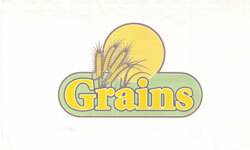 *Simon's Cycles reserves the right to authorize applicable product. 1) Question: Can I raise pledges instead of paying the registration fee? Answer: Yes, but it is a bit tricky. You will need to pay the registration fee with a personal credit card. If you decide to use the first $50 of your fundraising to cover this cost, you can do so, however, you will have to raise those funds personally and these donors will not be eligible for a tax receipt. 2) Question: What if someone hands me some money, can I still secure them a tax receipt? Answer: Yes, but it will take a bit of work. You will need to make a pledge on their behalf via this registration site using your credit card but provide their full name for the tax receipt. Cash and cheque pledges can also be brought to Marina Park on ride day. Look for the Pledges & Donations station under the YANA tent. Full names and addresses of your donors are required for tax receipts to be issued. 3) Question: What is the minimum donation amount to secure a tax receipt? Answer: Minimum donation amount for tax receipts is $10. 4) Question: Can I buy a jersey after I've registered? Answer: Yes, as long as quantities last. 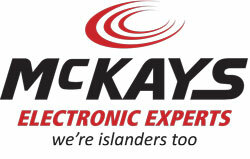 Simply drop by Simon's Cycles on Comox Avenue where you will have the opportunity to try one on and place your order. Please bring cash or cheque made payable to YANA to pay for your jersey. Jerseys cost $75 with all profit going to YANA. You can also purchase jerseys at the event using the same methods of payment. 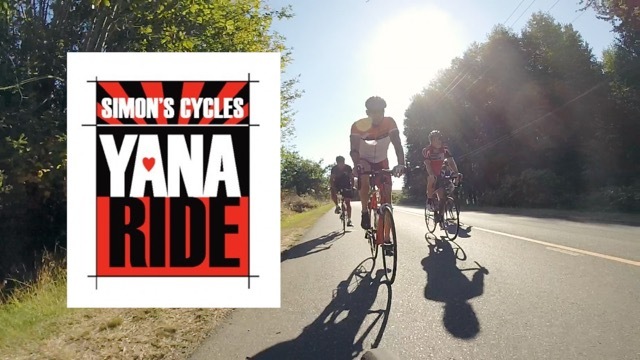 The Simon’s Cycles YANA Ride returns on Sunday, 16 August. The focus is a fun, family day of cycling, to raise funds for YANA and Comox Valley families in need. 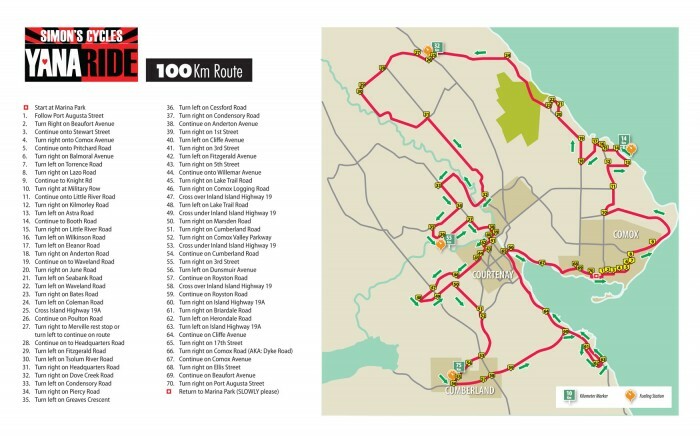 There will be a route for cyclists of all ages and abilities including 25km, 50km or 100km rides. We’ll also be hosting a 6km family loop and a special run bike race for those not yet comfortable with pedals. 15) Riders 18 years or younger. All riders 18 years or younger must have a waiver signed by a parent/guardian and submitted at the time of package pick-up.